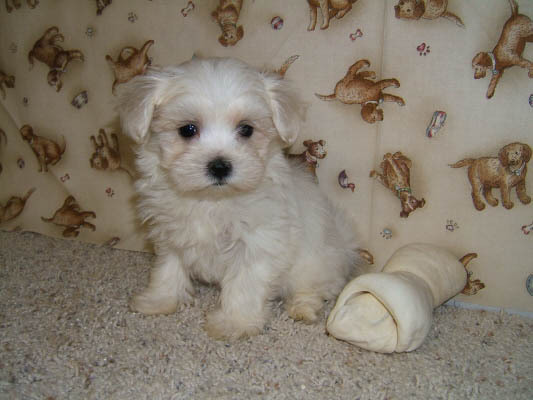 Make a beautiful, healthy Maltese or Morkie puppy a lovable addition to your family. 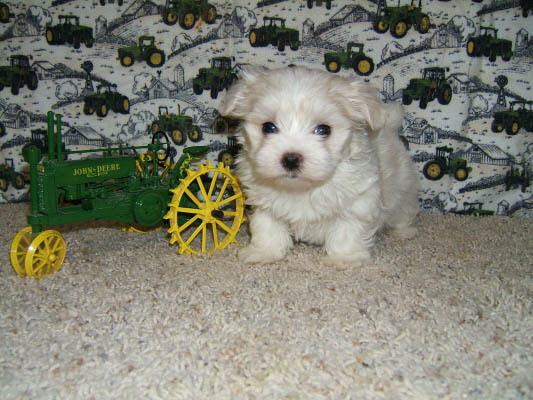 Welcome to Henry’s Maltese, Iowa Maltese breeders, the leading source of purebred, registered maltese puppies and morkies for sale in Iowa and the surrounding areas. 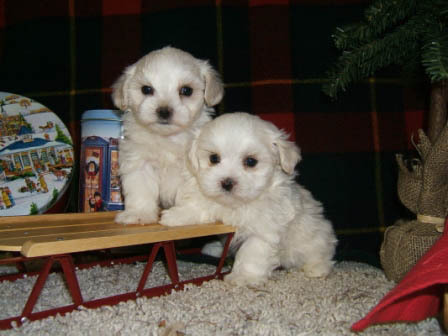 From our home to yours, make a beautiful, healthy maltese puppy or morkie puppy a lovable addition to your family. 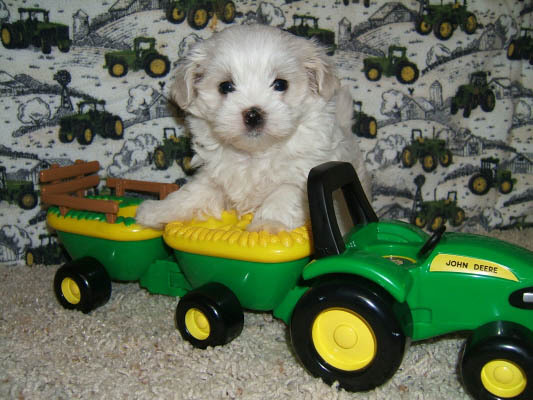 Our Iowa maltese puppies and morkie puppies are raised on our acreage with our entire family. 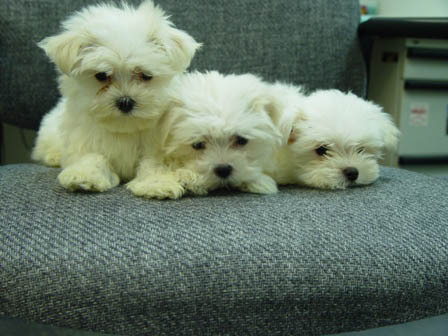 Since we only raise a few maltese puppies and morkie puppies, all our puppies receive lots of love, attention, and socialization. 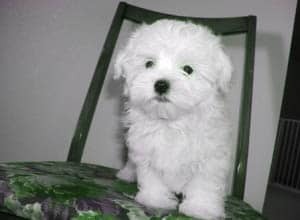 Our Iowa maltese puppies for sale and morkie puppies are raised under the direction of a veterinarian, so our maltese puppies and morkie puppies are guaranteed to be healthy when they leave our home. To see pictures of our maltese puppies for sale or our morkie puppies for sale click on the Available Puppies page. 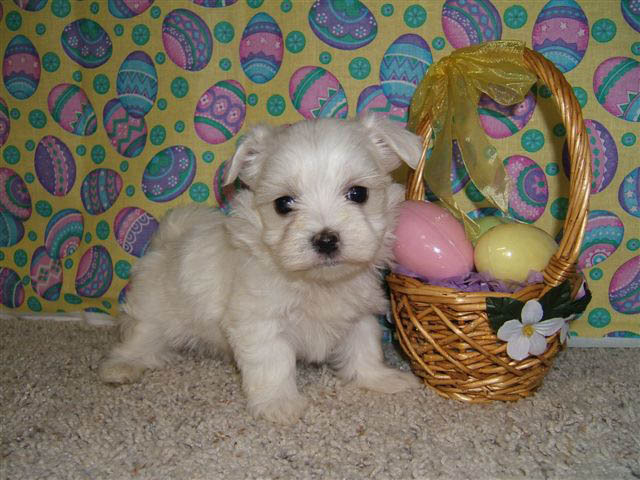 If you want to find out information on how to purchase a maltese puppy or morkie puppy, click on How To Purchase. 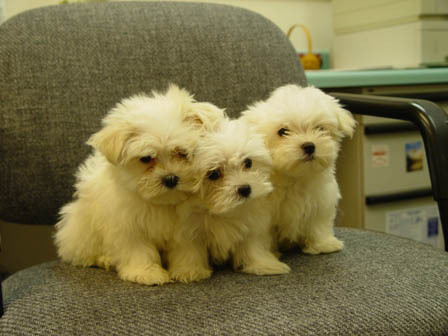 If your new to owning a little maltese puppy or morkie puppy, find tips and information on our New Owners Info page. 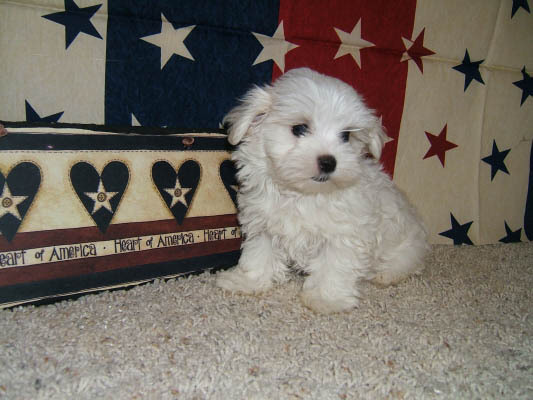 Lastly, see why people choose our Iowa raised maltese puppies and morkie puppies by checking out our Happy Customers page. 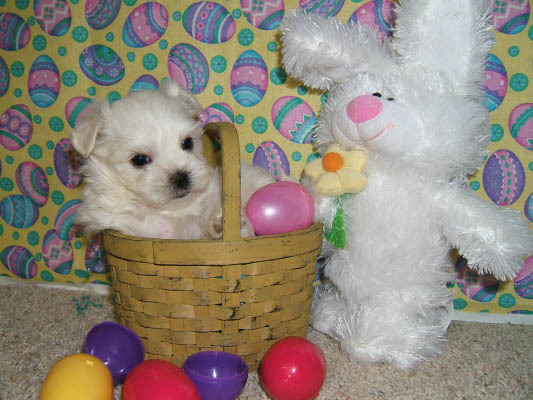 Thank you for visiting our web site and email or call us if you have any questions about our maltese or morkie puppies for sale. 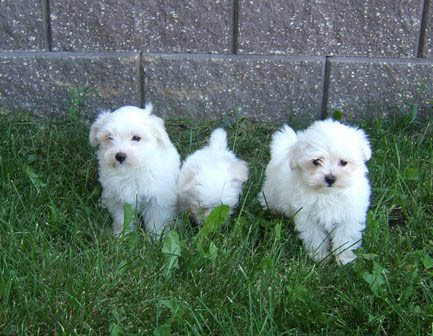 Our Iowa raised maltese puppies and morkie puppies receive all their puppy shots and dewormings prior to leaving our home. We have been trained by our veterinarian on the proper technique to administer vaccinations, so our puppies are vaccinated in a timely manor. Our maltese puppies and morkie puppies are completely vaccinated and healthy when they arrive at their new home. 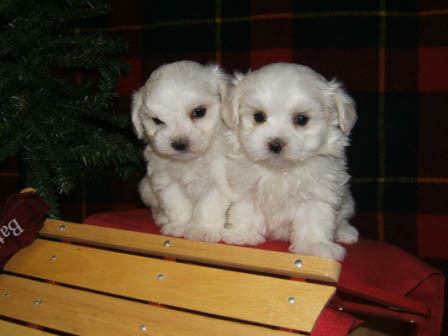 We provide the new owners with the dates the maltese and morkie puppies received their shots and dewormings. 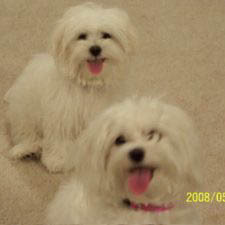 We feed our adult maltese food from the Diamond Company. 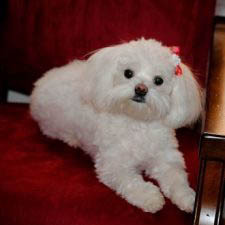 Our adult maltese receive a balanced diet using Diamond Naturals Mini Chunks, (chicken and rice). We have found this to be a very high quality food recommended by many top veterinarians. 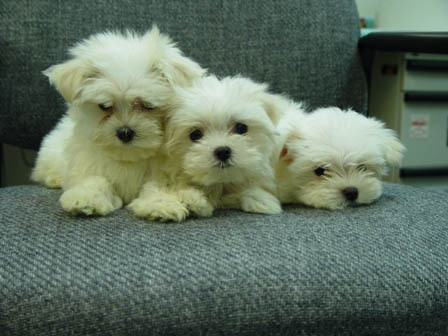 Our maltese like the taste of this quality food and they stay fit and healthy with food from the Diamond Natural Small Breed puppy food. 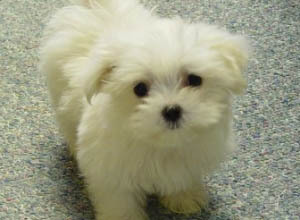 Our maltese puppies and morkie puppies receive small breed puppy food from the Diamond Company. 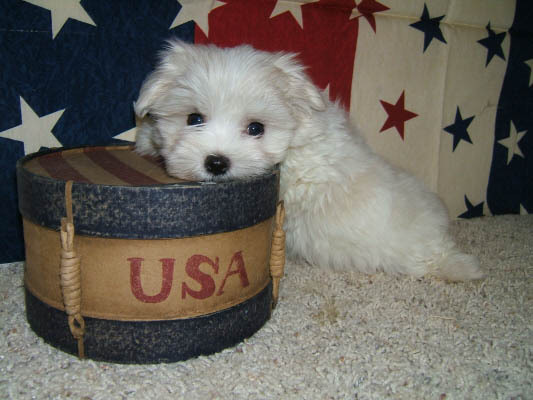 The Diamond Natural Small breed puppy food has a small kibble that our little Iowa raised maltese and morkies puppies enjoy eating. 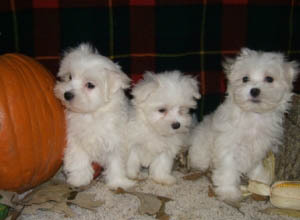 Since we only breed a few adult maltese, we can give our maltese mothers lots of special attention during birth. 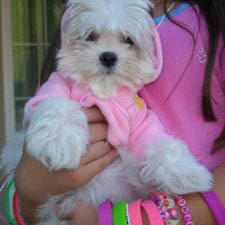 We make the pregnant maltese mothers as comfortable as possible. We are present at all times during the birthing process and assist the mothers when necessary. 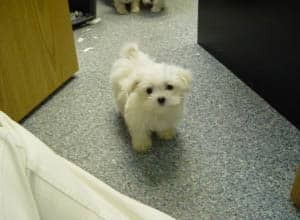 All our maltese and morkie puppies are placed in an incubator for a few minutes after being born to help the puppies clear their lungs of any fluid and to assimilate a temperature controlled environment similar to prebirth. 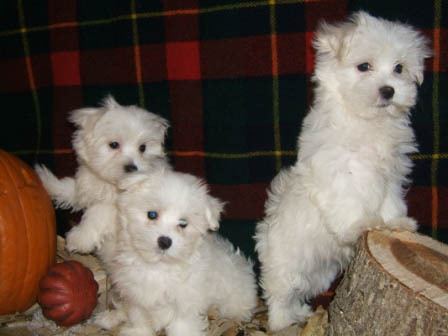 This also helps the little maltese and morkie puppies adjust to their new world and then they are ready to receive their first nursing from their mother. Again, since we only breed a few maltese we can give all our maltese and morkie puppies socialization from day one. Our little puppies are handled daily so when they are ready to go to their new homes they are very social, playful, and full of energy. We attempt to make the transition for our maltese and morkie puppies from our home to their new home as smooth as possible. 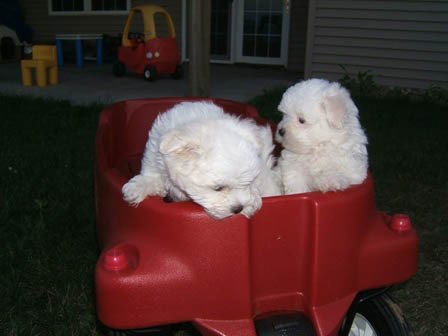 We typically do not let our puppies leave our home until they are 10 weeks old. We have found the maltese and morkie puppies are generally a little stronger, eating better, and more resilient by waiting until they are 10 weeks old to transition into their new home. 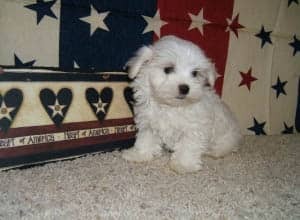 We will send along with each maltese and teacup morkie in Iowa a puppy pack that contains a sample of the Diamond Naturals Small Breed Puppy Food along with some other information about caring for your new puppy. Due to only breeding a few maltese, we become very attached to each of our moms and dads. 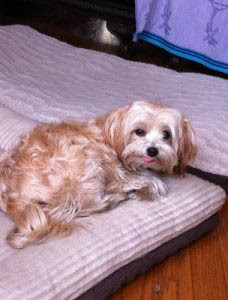 Occasionally we have an adult retired maltese or yorkie looking for a new home. 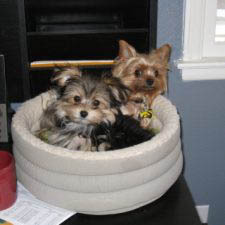 We want these adults placed into a loving home where they can enjoy the rest of their lives. 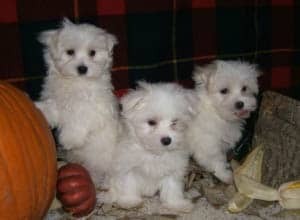 Ask if you are interested in adopting an adult maltese or yorkie. 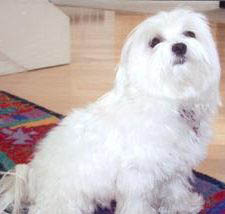 To the internet home of Henry's Maltese... and Morkies*. 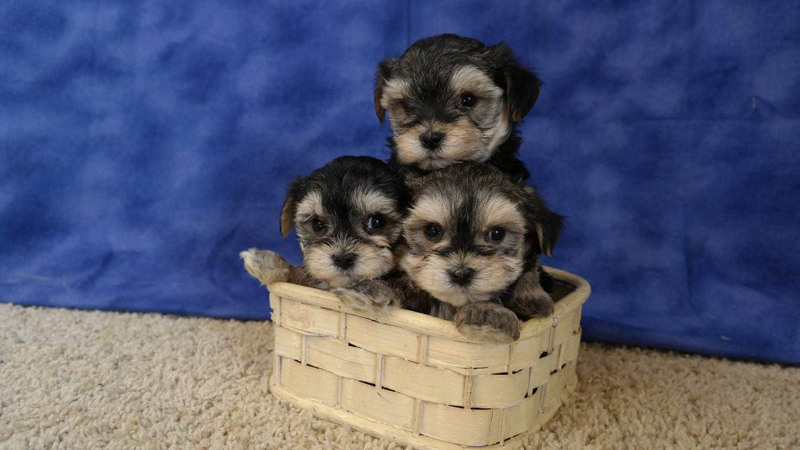 *A Morkie is a cross between a purebred female Maltese and male Yorkie. 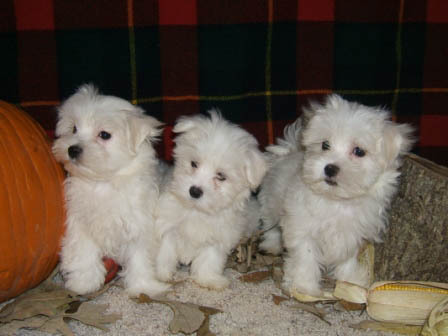 Check our Available Puppies page for information and photos of both Maltese and Morkies. 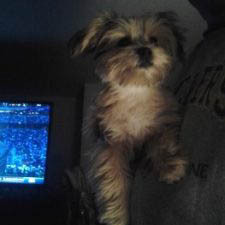 Here is a picture of gizmo. I thought I’d drop a few lines to say thanks again for this sweetheart of a puppy! Sunshine is doing well! We took her to the vet the same week she was here. He has given her a clean bill of health, and is due for her new shots in June. She is doing really well, even with her potty training. 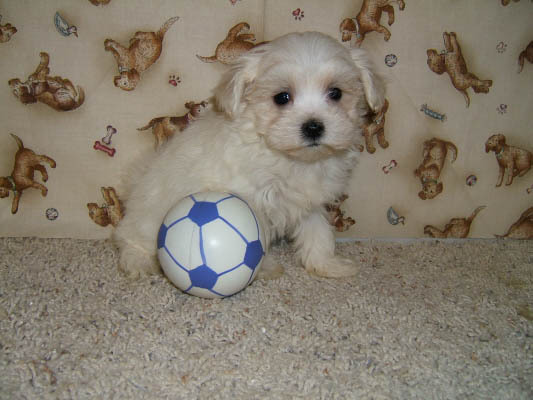 Shes a smart little pup. It’s hard to say ‘no’ to her, but she learning that too. She thinks her whole world is a chew toy. She seems to have taken well with the family and friends. She is a fearless little ball of love. She gets along with all the neighborhood dogs and is very social. We love her to bits! I’ve attached a few photos. 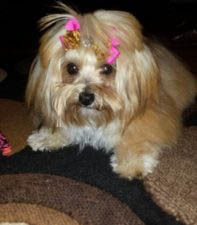 I will send a few more, after her 1st grooming appointment, this week. I hope you enjoy these photos. 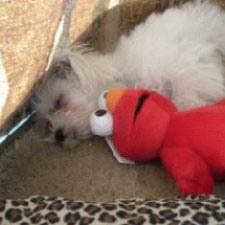 This is Jo Anne and I had gotten my sweet little Elmo from you. He says thank you for the Birthday cup and that he has not forgotten about you! He is a healthy little boy and he has a girlfriend now and her name is Cleopatra. She is a Maltese too. He wanted me to send you a few pictures of him and his girlfriend. 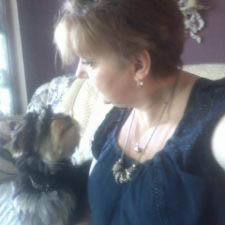 Me and my husband loves both of them dearly and Elmo is so funny he always makes us laugh and he wakes us up everyday when the alarm rings by licking us till our face is all slobbered. We don’t mind though because what way could be better to wake up than the loving our pups give us! I had lost your address and so I couldn?t send you pictures but thanks for the card and now you can keep in contact with Elmo! Enjoy the pictures! 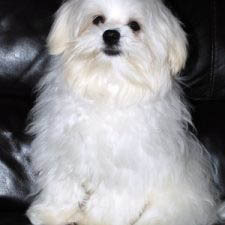 He is honestly the most aesthetically appealing maltese, (this isn’t even a matter of favoritism), I have ever encountered and everyone agrees! 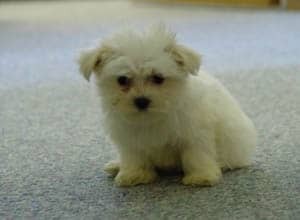 People tell me all the time how they have never seen a cuter puppy in their life! On top of that he is incredibly intelligent and fairly easy to train. 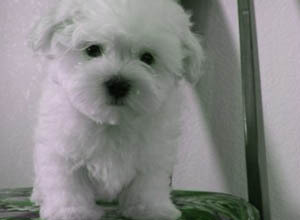 He already understood 4 commands within two weeks or less ( sit, stay, come, and shake), I was very consistent with him. He tries very hard to stand his ground against bigger dogs, he has this cute little baby growl that he thinks will intimidate others. 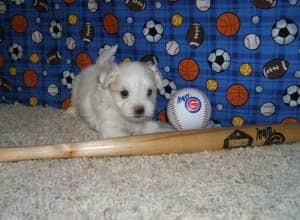 Everyone in my family loves him, including my mother who seriously had disliked dogs all her life. I will definitely consider purchasing from again in the future. Very very happy with my purchase, thanks so much! This is Rudolph Valentino (Rudy). 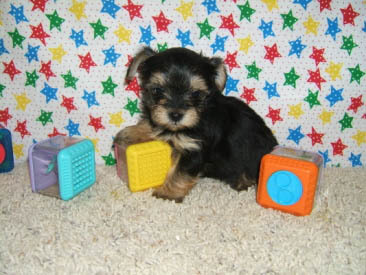 He weighs 6 lbs. and is a feisty little thing. We have just bred him and are hoping it took. I Just wanted to drop you a note to thank you for the puppy. He seems to be adjusting well to his new environment. He is eating, playing, and sleeping well. Monday we took him to the vet who gave him a clean bill of health. He has been a joy to have around. The girls adore him and he has the adults pretty much wrapped around his little paw. 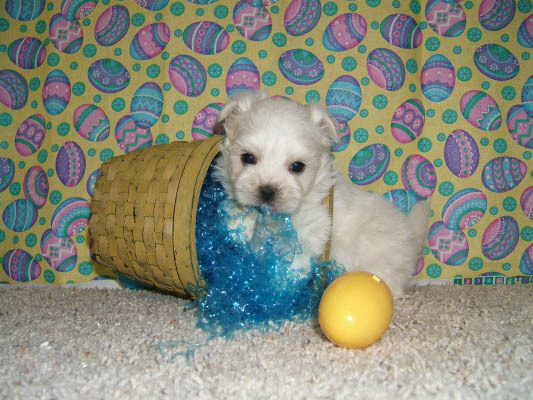 We are still debating on a name. Thanks Again! Just wanted to send you an updated picture of J.T. 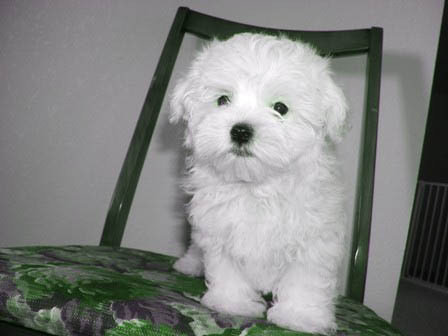 He is such a beautiful maltese. I brush him twice a day and give him a bath every two weeks. He also goes to the groomer every 8 weeks. We love him so much and everyone comments on how spoiled he is. He is very healthy and energetic. Hope you enjoy the picture. Rory has been an amazing dog! She has brought so much happiness to our family. She loves playing, eating, and sleeping. I thank you for bringing such a great dog into our life. She is full of energy and love. Thanks again. P.S. 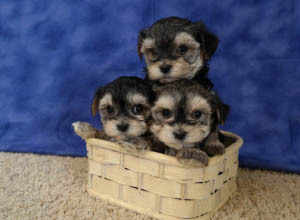 My children and husband want another of your puppies…Talk to you soon. We are so happy that we found you. Our puppy Jack is the best addition to our family. He is wonderful and everybody loves him. We want to get another one and my mother is thinking of getting one for my grandparents. He has a fabulous personality for a dog. Thanks so much! 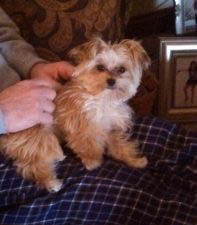 Attached are some pictures of Maci. We are enjoying her so much. She’s now 4 1/2 months old. 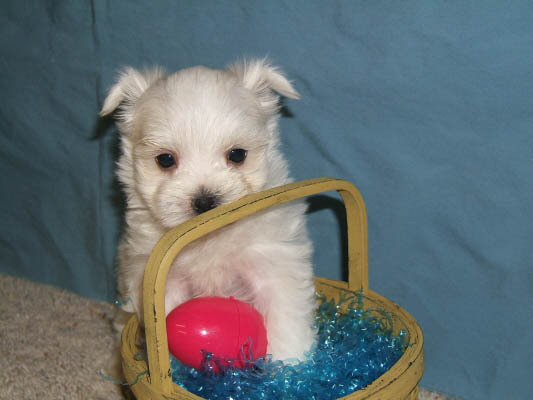 I bought her the Sunday after Easter at Lowes in Coralville. Just wanted you to see some pictures we have her, we lover her and she’s the best. Here is an update on our little fur baby who we named Groot. He is an amazing puppy, he already sleeps through the night at just 11 weeks old, is very playful and loving. The vet was impressed at how healthy he is. We love our Groot so much! Thanks for the cute card. Belle is ready for Christmas and new toys! 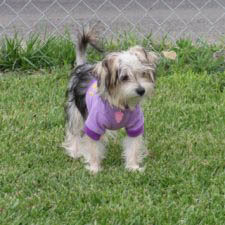 Check out beautiful Belle! I thought I’d send you an update on Wiley. He’s earned the nickname Fuzzy Bud (our 1 year old male is Stewie a.k.a Little Bud and our 1 year old female Gracie a.k.a. Sweety) given his fuzzy appearance compared to the other two. He has blended in well with all three older dogs, but especially our 1 year old Morkies. Our 1 year old female, Gracie, is like a mom following him everywhere and showing him the ropes. It’s been great fun watching her with him.I attached a few pictures of him for you. Please know that Wiley, like Stewie and Gracie, mean everything to us and are in the best home possible. Take care. 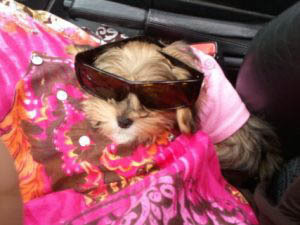 Just giving you an update on Coco Chanel (Aka C.C. ).She just had her second check up and updated shots today and the vet was so impressed on her overall health and personality. Thank you so much for such a precious gift. She surpassed my expectations and I couldn’t be more in love! ! My roommate and I purchased Tucker from you over a year ago. 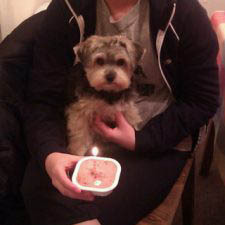 It’s hard to believe, but he is already going to be two-years-old on March 25th! I was looking through some puppy photos today and decided to send you a few. I can’t thank you enough for bringing Tucker Bear into my life. He’s the cutest little fella in the whole world, but most importantly, he’s my best friend. Most people would think that getting a puppy in college is a crazy idea, but Tucker has brought so much joy into my life as well as the lives of my roommates. He is absolutely perfect in every way, and I can’t thank you enough! I am sending a picture of us with our new angels. They did excellent on the ride home and have been very playful since. We want to thank you for all your help Have a great weekend! We just love our little girl so much! We named her Bailey and my girls are in love! The great thing is that they are in school from 8-2 so I get her all to myself for those hours. She is such a sweet girl. 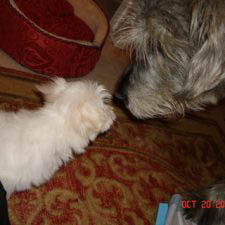 She is not afraid of either of my big dogs at all but is still gentle with my children. 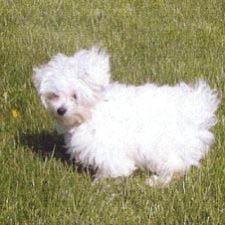 She is playful, but not nippy or yappy. 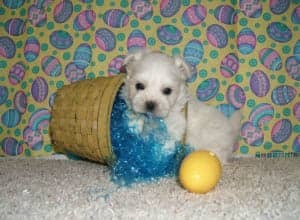 I couldn?t hope for a better puppy! Thank you so much for all of your time, energy, expertise, and caring. 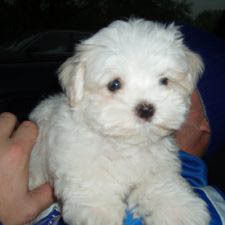 I couldn?t have asked for a better puppy or experience! If we ever want another Maltese puppy, you are the only person we would ever think of contacting. DC is coming up on her second birthday. I can not believe she has been with us this long already. What a loving little dog. Everyone she meets remards about her cute little face and wonderful disposition. 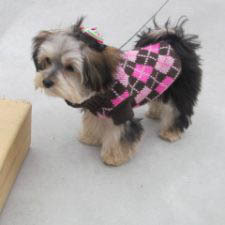 When we take her out the main problem we have is getting her back from people – what great addition to our family. Thank you. I hope you are well and enjoying the summer. 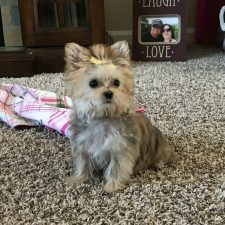 I was sharing pictures with family and friends of our little Morkie we purchased from you back in May, and thought I would let you know how amazing our little girl is! Her name is Pippa (Pip) and she has been pure joy for us. 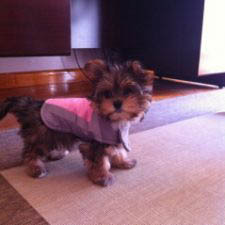 I have been meaning to write for several weeks to thank you for helping my daughter Betsy fine the perfect puppy! 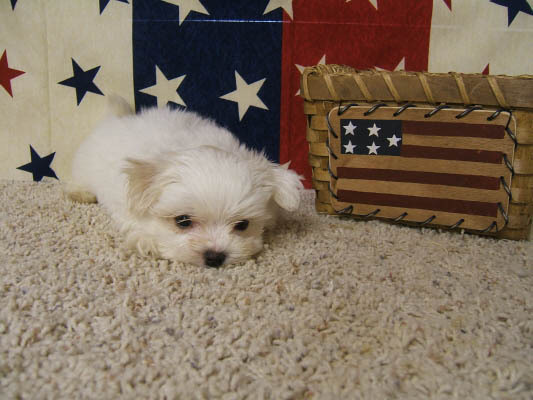 Little Allie has already won our hearts and become a true member of the family. We thought you might enjoy seeing a picture of her. Thank You! BowBow joined our family just a few short weeks ago! She has done amazing and just absolutley loves to cuddle and play. She has a great personality! We love her so much! We love Max! Thank you for bringing such joy to our lives! Max is beautiful, smart, and very well behaved. We’ve had “max” for a few months now and wanted to let you know he’s doin great! He’s the sweetest, most loving dog I’ve ever had. He follows around the house and is “literally” a lap dog. If I’m sitting on the couch, he has to be right next to me. He’s like having another child, which fits perfect because he is definitely “family”. I love my lil max so much. 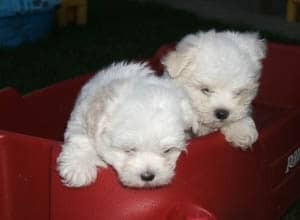 Thank you so much and if I ever decide I want another dog or know someone that does, I would definitely call you first. 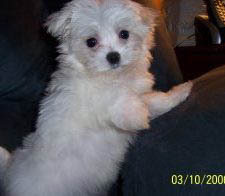 My lil max is my baby. 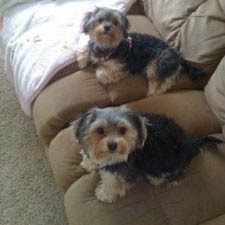 Just wanted to let you know that Sophie is doing great and is having a blast with her new sister peanut. 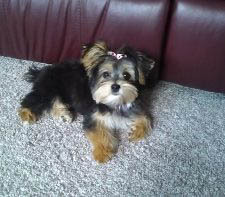 She is now 6 months old and weighs about 4 pounds. We love her so much. Thanks. Thank you for the xmas card and the contact info. 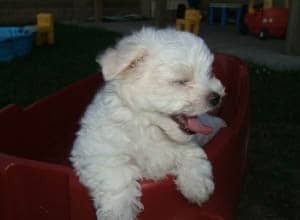 We have enjoyed our little puppy since the day we got him. He was very easy to housebreak, and is obviously very smart. He spends his days in the kennel when my husband and I work the same day (which is not often) but seems to rather enjoy his alone time. He is good with the grand babies and loves to give them kisses. He also is very spoiled and if he wants for attention, he is not above getting into something (newspaper, toilet paper) for the attention it brings. He loves to play and his favorite spot is on my legs when I am reclining. Enclosed is a photo of him in his favorite spot. 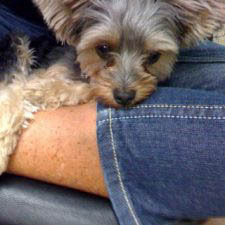 Thank-you so much for our furry angel. Hope you and your family are doing great. I like to apologize because it took me this long to give you updates of my little puppy. He is doing great!!! We love him! He is a well behave puppy and we are so happy to have him with us. We named him Romeo and I just wanted to send you pictures and tell you that he is doing fantastic. 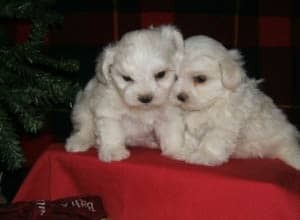 I am a happy customer and if we ever decide to buy another puppy it will be from you. I have told everybody about how smooth the buying process was and how beautiful and healthy are your puppies. 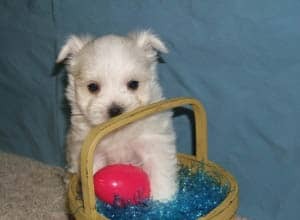 Meet the Great Gatsby.We got Gatsby from you last October.We are over the moon in love with our little guy.Thank you! I got Pearl from you in August and just wanted to send you a picture of my baby! She is such a sweetheart! Well behaved and so much fun! She is a total princess! Thanks again for such a wonderful puppy! We wanted to thank you for adding Kaos (Chaos) to our family. The little guy loves to play with our other dog and sleep on our laps. He does not like wind in his hair or the cold weather outside right now. He is starting to learn “no” but I think potty training might be a huge task. He does not squat or sniff around a lot when getting ready to go. If you have any suggestions I would be happy to try it. The first night he slept a lot, I am assuming because of the change. Now he seems VERY happy. I love him to death. My son has been visiting his dad and will be back on Wed. I took Kaos over there and he thought he was cute but has not had time to play with him. I am sure he is going to love him too though. We got him several different toys to chew on (some still to big for his mouth but he tries). I had to go through several different treats before I found one he likes. It is so funny to watch him run around the house. Well I need to go to work so email back with any suggestions on potty training. Thank you again. This little guy is AWSOME! I finally got a camera so here is some pictures of Rikki. She is doing great. We love him so much! 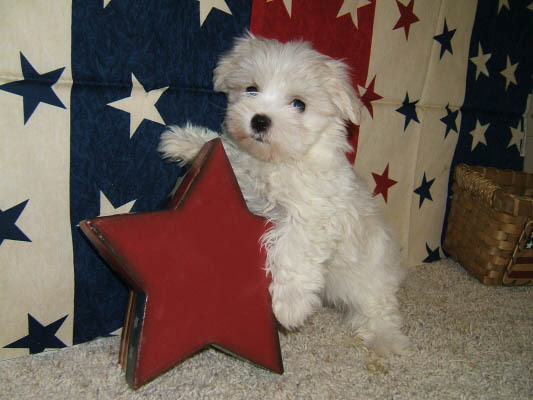 He has the most fun energetic personailty and he is such a good boy. Thank you so much again! Just thought we?d drop you a Christmas picture and show you how much we are enjoying our puppy from you. Our boys love him to death, but I think mom and dad love him pretty much too. He’s a frisky little guy, but at the same time so sweet and cuddley. Our entire neighborhood loves him. Take care! Just wanted to let you know our Duke is doing GREAT! We got him from you in October, he is a great addition in our lives!! Very playful, sweet and loves to cuddle. You raise wonderful dogs, Thanks again! 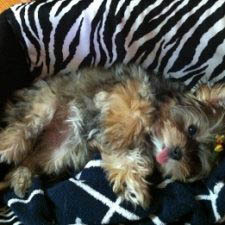 I got my little baby from you almost a whole year ago…last November 1st actually. We me in Iowa City since I live in the Quad Cities. He was my birthday present last year and he has been such a joy to have around. I can?t imagine life without my Gus. (that?s what we named him). My husband and I just got married in October and I?m trying to get him to buy me another baby for my birthday coming up in early December. I’ve attached a picture of my pride and joy. 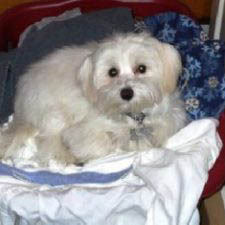 He found a comfy spot on our laundry!! Thanks! 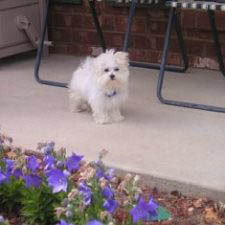 I wanted to let you know how AWESOME my little “BuckShot” is!!! 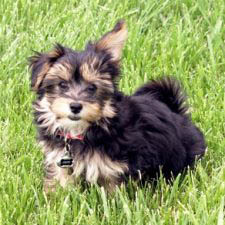 Who knew one little Morkie could make people happy and fall in love with him all over the US!!! He is so smart and well behaved. It didn’t take but moments for him to learn “sit”, “stay”, and “down” ! We are still working on “roll over” and “BANG, You’re dead” lol. He’s not sure he’s in to those yet. I was pleasantly surprised that he was fairly quiet. He will make his tough little growl if he hears something unusual, but rarely a bark. Thank you sooooooo much for this little bundle of amazing. I’m attaching a recent picture for you. Thank YOU!!!! We just wanted to drop a note to thank you for Miss Snuggles. We picked her 5 years ago on Christmas Eve, and we can truly say she is our greatest gift ever! Miss Snuggles loves to travel and meet people. She has many friends around the country. She loves to play and her favorite pastime is going to the pet store to see the mice. She loves to pace the floor from cage to cage, and has even had the opportunity to kiss a few. You may not remember me, but purchased a Morkie from you a little over a year ago. I’m attaching a couple of pictures of him for you. His name is DB (short for Dean Biasucci, my favorite football player). I’m writing to you now because I have received so many requests for your contact information lately. People always fall in love with my little guy. He’s such a good dog! 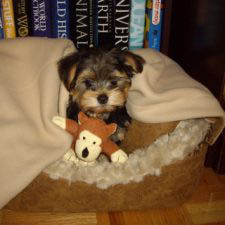 I knew the Morkies were good around people and small children, but I never in my wildest dreams thought I would get one that would be easy to train and would be so incredibly good around other animals. DB has brought me so much joy. For the first nine months he was in doggie daycare and did really well. Now, he comes to work with me every day. I can’t thank you enough for bringing this little pooch into my life. I’ve always heard such horror stories about puppy mills and nightmare breeders. 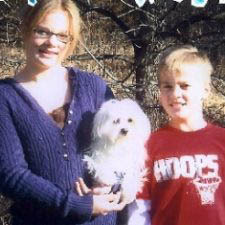 I wanted to thank you again for breeding such a great and loveable dog. Indy is the best dog in the world! From the day he came home he has been using the bathroom outside and has made little to no mistakes in the house. He responds well to house training and he is awesome with the children. What a great dog to have and raise with my family. 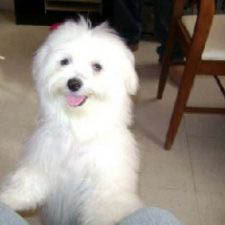 He brings us so much happines with his playful and energetic demeanor. My family loves him and I have referred lots of my friends and family to you for a potential new addition to their family. Here are some updated pictures of Indy. 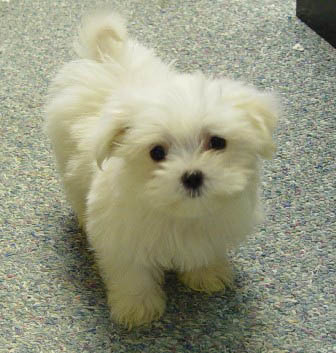 I have taken him to get his first puppy cut today by the groomer. I will send you more pictures as time goes by. Once again thank you for Indy. He has truely made our family complete and he brings the best out of everyone… including my one year son. We wanted to send you some more recent photos of Buckshot. He’s still an amazing little buddy. 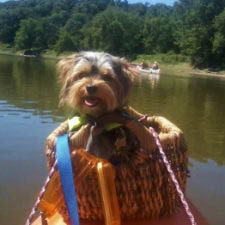 He loves to go on the sailboat with us, and has become the mascot of the river when I take out one of our kayaks at Seven Oak’s. Our little grandson is not a big dog person, but even he enjoys taking Buckshot for a walk to the pond. Thank you, again! 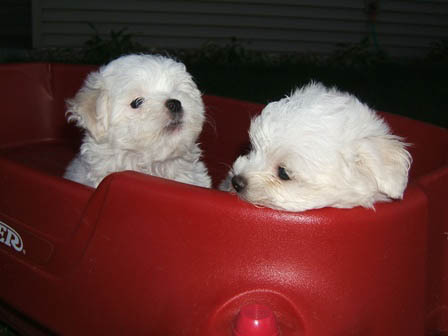 You raise the most adorable, well socialized pups! 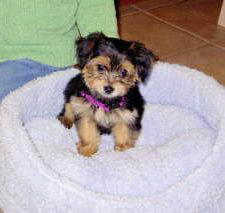 We have never regretted getting our little Morkie from you. Just wanted to update you on our little Mia. She’s now 8 months old and weighs close to 4 lbs! She’s tiny but you’d never know by her personality! She’s full of energy and wants to be a part of everything we do. We absolutely adore her! 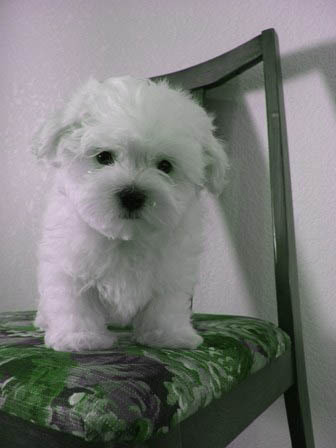 Thank you and your family for such a wonderful and happy puppy. We got Flo from you in May and she has been absolutely fantastic. 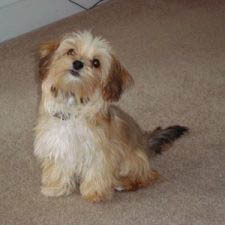 For a small dog, she has been extremely easy to train and has a great temperament! She?s almost a year old now and weighs almost 4 pounds. Even though she’s small, she loves playing with big dogs and can definitely hold her own. She gets along great with her new sister and loves coming to work with me a few times a week! Thanks so much! 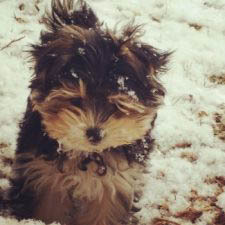 I just wanted to let you know that our beautiful puppy Duke, is doing fine. He is now 6 months old and weighs about 5 lbs. 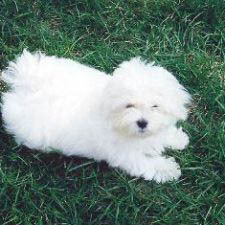 he is very happy, playful, and likes to walk on his hine legs as one of his tricks. 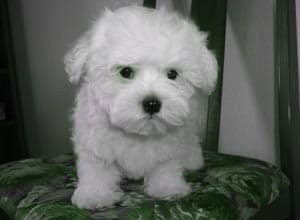 I am very happy that I got him, and I am thinking to get him a baby brother or sister soon from you! Hi Patrick thank you so much! She enjoys the walks very much and because she has been running around and been very active since we first brought her home, she never seems to be overly out of breath and enjoys the walks. 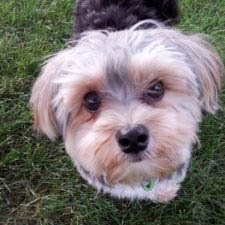 Thanks for giving us Bailey, he is the love of our lives! He is now about 2 lbs and crazy happy!! We couldn’t love him more. 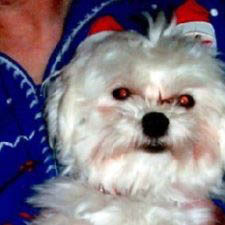 Here are a few pictures of Gucci. 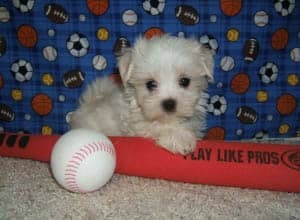 We love our new puppy Dewy and are glad to have him as part of our family. He is very playful and loves to jump around. He never whines or complains and is very quiet. At night when we put him down to sleep, he just curls up with his stuffed carrot and goes right to sleep. We are all in love with him, he makes new friends everywhere, like when we took him to Pets-mart he instantly made friends with a yorkie puppy and an adult dog! We cant wait until he is completely house trained, but he is a fast learner and he has come a long way in the few days we have had him!! 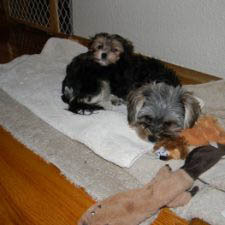 Just wanted to let you know that Luca (1yr, 5lbs) and the new puppy, Titus (4mo, 2lbs) are doing great. I never thought I could love another dog as much as I love Luca, but then along came Titus, who has stolen everyone’s heart. 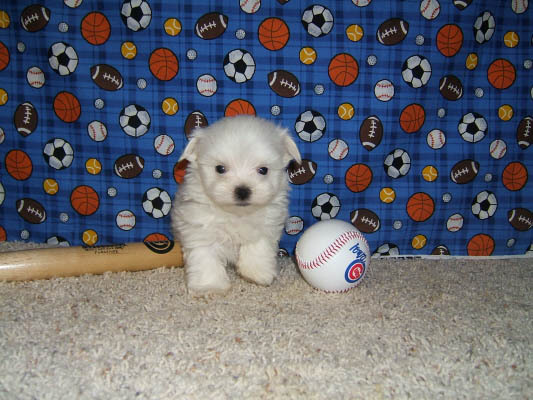 Titus is absolutely fearless for such a little guy, he has quite the personality, and fits in so well here. Luca, who is the sweetest dog, is so good with his new little brother. 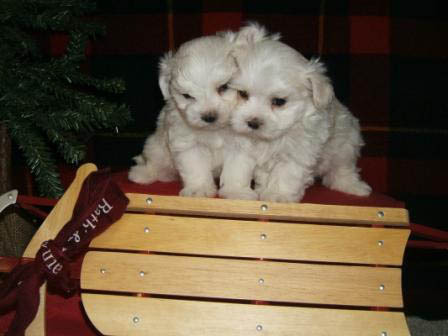 They are both healthy, smart, playful, and lovable…..they seem to be very happy together. We are all crazy about them and love them both so much. I want to thank you for the 2 best dogs ever, because if it wasn’t for you I wouldn’t have them and couldn’t imagine being without them. 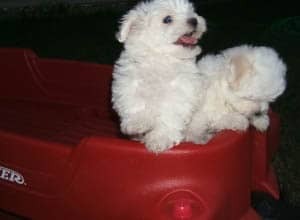 I feel lucky to be their owner, they make me smile everyday. want to tell you and your family “Thank You” for getting my Janny off to such a good start. She loves me and is the kind of companion that I was looking for. 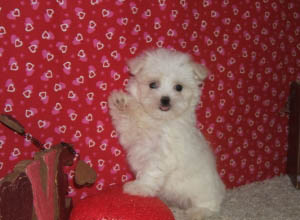 Janny does a few tricks like sit, lay, dance, shake and she high fives. I don’t know what my away family would do without her being here to greet them when they come to visit. She is a gem and is almost perfect in every respect. Thank you again. She is the love of my life now and let’s face it… she is pretty good looking, too. 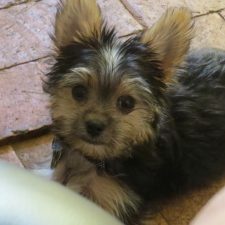 Just wanted to give you a brief update on Hairy and include a few photos. He has a terrific sweet personality and loves everyone ( animals included ) but most of all he really likes kids. Your family did a great job socializing Hairy and I know he hasn’t forgotten your son based on how he relates to little boys – even when they’re on TV he will stop what he is doing and watch TV. 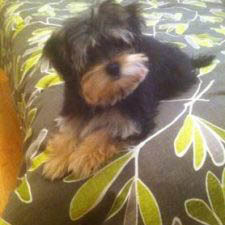 Hairy just completed his first puppy class and will be taking intermediate starting next month. At the 3 lbs 1 oz. 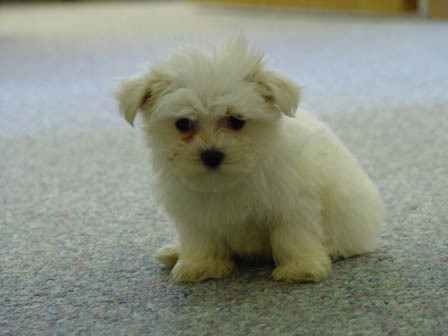 he was the smallest puppy in the class but proved he was very smart and social. With the warm weather we’ve been having he lovers to go outside and run along the fence with the neighbors’ dogs. 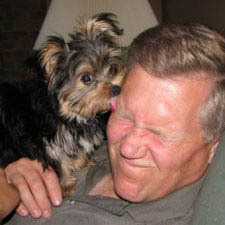 Thanks again for raising such a wonderful line of morkies with personality plus dispositions. I can’t believe Simba already made today his first month living with us! He’s been GREAT and getting big each day! 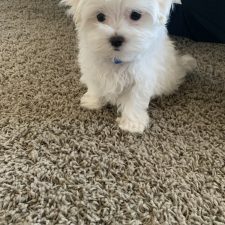 Our friends and family just think he is super adorable and smart! And he truly IS!!!! He is getting the potty routine! He is just Great!!! It feels like Simba been a part of my family for a long time ! He has a HUGE part of my heart already ! Well I am sending you picture of Simba! Just wanted to let you know, our little Bella continues to be a joy and delight. At 7 1/2 months old, she is just under 5 pounds of puppy energy. 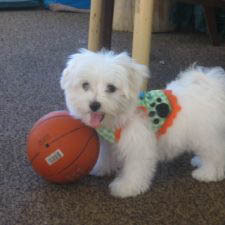 She trained exceptionally well and is working on some lessons from her puppy classes. She is well adjusted to people of all ages, be it a toddler or an elderly person, she loves them all and willingly shares her ‘kisses’! She has adapted to our lifestyle, and enjoys quiet days at home or the weekends when we all experience the motor home life. She particularly LOVES the outdoors and will go out and plant her little belly on the grass with her back legs behind her…perhaps her way of sun bathing! Thank you again for sending us such a beautiful bundle….she is so much fun! and a cherished member of our family. Have a great day! 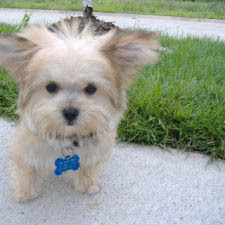 I wanted to thank you for our little morkie- Rooney. We fell in love with him the instance we picked him up from the airport. He is absolutely amazing, and puts a smile on every body’s face that sees him. 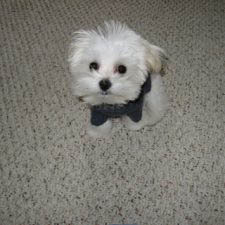 Also, he is very smart…he pees only on the wee-wee pads, has a good appetite, and is very-friendly and loving. He fits in perfectly with our small family! Its a joy having a little companion who is always excited to be with you and gives you plenty of kisses 🙂 Once again, thank you for our bundle of joy! 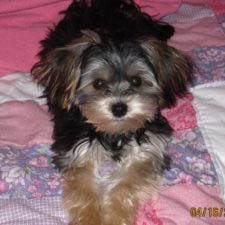 I wanted to write a quick not to thank you so much for my little Morkie Lexie! She is the best little thing in the world. She is now almost 6 months and is about 5 lbs. She is the most precious and loving dog imaginable and I absolutely love her to death! She is extremely smart and was surprisingly quite easy to house train. She is now even picking up on tricks! 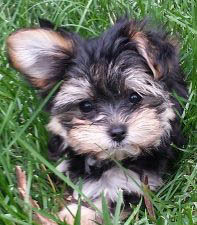 My brother Dante and his girlfriend Kalee love their new little puppy too!! 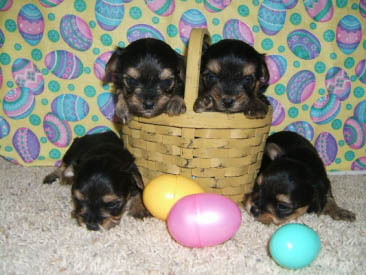 You truly breed wonderful little dogs. 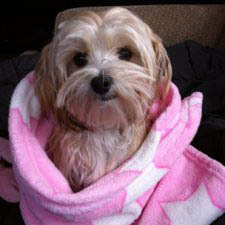 I have attached some new pictures of Lexie for you to enjoy!! Thanks again Patrick! 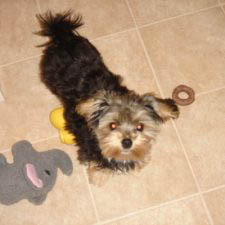 We got Gizmo from you in late May 2011 and we wanted to thank you so much for giving us such a great puppy! He is such a joy to have and EVERYONE loves him and wants one of their own. He has been there for so many firsts in our lives and he holds a special place in our family. Gizmo has so much personality and at times we think he is even smiling at us! Thank you so much for this amazing bundle of love!!! It’s been a year since we brought Frankie home. In that time she’s grown from barely 1 pound to a whopping 7 pounds—but her sweet, sassy personality is unchanged. She’s never met a dog or a human she didn’t adore. (Verdict is still out on cats.) She excels at fetch, watchdogging and snuggling. She loves play dates and doggy care. She’s not a certified therapy dog, but she makes the rounds of nursing homes and group homes, thanks to a friend who’s a caregiver. A relative said it best: “She brings joy.” That’s true, especially for us! I hope that all is well. 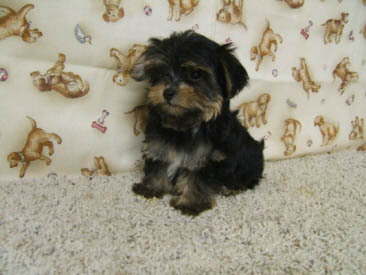 I purchased a butterscotch morkie from you back in February of this year. 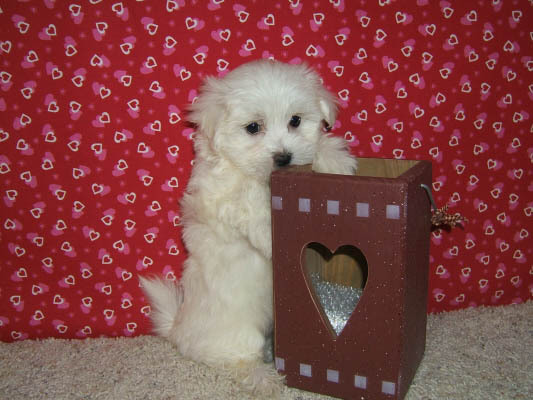 I named the sweet little puppy Mocha. 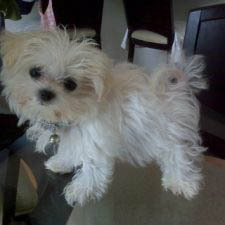 You raised a sweet, happy, loving and very playful little fur buddy for me :-). 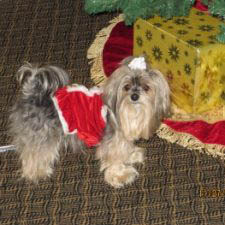 She is prissy and full of personality…my little fur buddy. Just emailing to let you know Leo is doing great! He whimpered a little the first night; carried on for about 20 minutes the second night and he now sleeps six hours each night. (I think Bella is really wearing him out.) He had his vet visit on Thursday and the vet said he came out of the factory with everything in the right spot and was impressed with his laid back personality! So far he’s catching on really fast with potty training and has figured out how to go upstairs. I now have to keep the door closed. 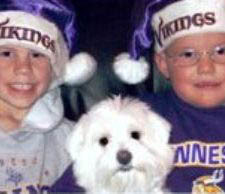 Thank you so much for giving us two great dogs! They’re such a hoot and we enjoy them so much! The new puppy (Marley) was the best present the kids had ever got. All the other games and toys took a backseat to the new family member. The family has been enjoying Marley this week and sharing in the new responsibilties. It has been a very nice Christmas. 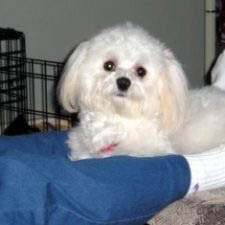 Wanted to let you know Angel is lovely, playful, and healthy. He is the joy of our lives. He is also very smart. What I like most about Angel is when I come home from work he gets so excited that he runs through the entire house and then he gets up and licks my face. We love him like a son. We don?t have a child so for us Angel is our son. Here are a few pics of Maya from Easter weekend. Hope you enjoy them and you all had a nice Mothers Day weekend!!! Thanks for the wonderful addition to our family! Lexi is doing very well. Since the first day that she came home, she has been so happy and friendly. She is spoiled by my husband, children and I. Again, thanks so much! It has been 3 months since we got our little guy, Rudy. He has been the biggest blessing to our home. Rudy started sleeping through the night about 2-3 weeks after we got him and has been fairly easy to potty train despite ALOT of snow. He loves cuddling, playing fetch with his ball and walks on the trail. 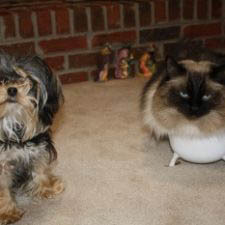 We are even considering adopting another so Rudy has a friend! Thank you for giving us our best friend! I just wanted to thank you so much for Niko James!! She has been the greatest investment that I have ever made. She is only 4 months old and she is already learning tricks! She gives “high fives,” and rolls over; it is the cutest thing imaginable. She is the sweetest puppy,always cuddling with us and giving us tons of kisses and has the greatest personality ever! I could not have asked for a more adorable,loving and loyal puppy. Pictures do not come close to doing her justice. Thank you so much! 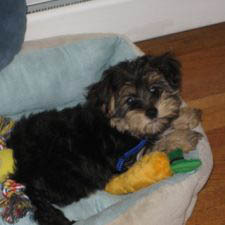 We purchased little Parker from you in May 2008, and he will be 1 year old next month! We just wanted to say Thank You for sending us such a wonderful dog! He is like our little son. The whole family loves him and the most common response to him is “awwww.” He is very playful, very cuddly, and loves his mommy very much. 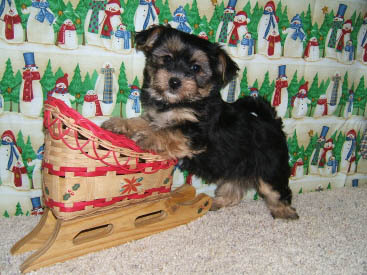 He was the best present my fiance could have given me! Here is a picture of the day we first got him. Thanks again for such a wonderful animal. He has made us very happy and brought much joy into our lives! Things are going well with Lacey. She paper trained herself in two days, but also knows what she is suppose to do outside. She?s a challenge though. 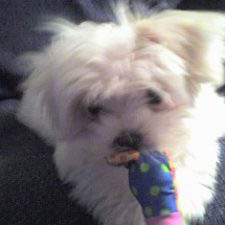 She puts everything in her mouth, including decorator stones, which when I go to get it out of her mouth she has learned to play ?keep away?. I?m getting my exercise. We are enjoying her so much. Enjoy the pictures. 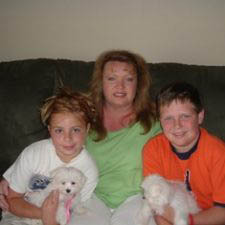 Nick, Deb, Peyton, Quinn, and Laci D.
Laci is a very loving dog. She is part of the family. Laci is so smart and we love her so much. She loves to stay right by us and would never take off running. We don’t even need to fence in our yard. We trained her to sit, shake, and drop. 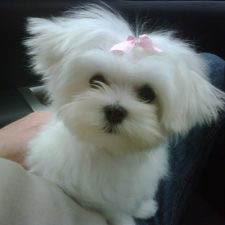 As you can see from the picture she is very cute. She weighs 6 lbs and is very healthy. She is very sweet and loves to be playful. 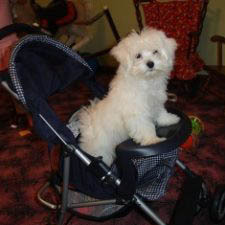 She is so funny when we take her for a walk. We don’t need a leash because she would never leave our side. She gets to a puddle and stops in her tracks and waits for someone to pick her up and carry her over the puddle. She doesn’t like to get dirty! As you can see, we have spoiled her! Thank you for raising such a wonderful dog. We recommend you to everyone who falls in love with her, (which is a lot of people). She is so special to us. She is always full of excitement and loves to ride in the car. She almost never barks. Again, thank you. 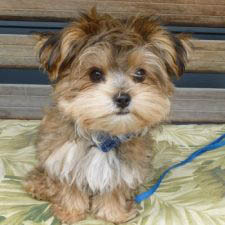 We cannot thank you enough for our adorable little Morkie, Yogi. We are all madly in love with her and each visitor she meets also falls in love. At 8 months old now, she is just over 3#, super healthy, and has a HUGE personality! She is just the spunkiest, funniest little gal! 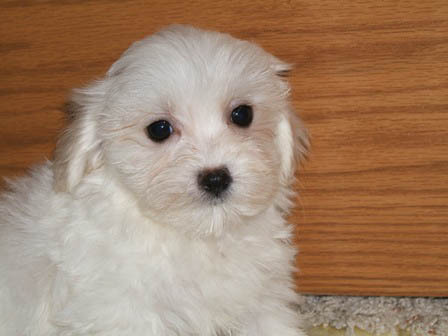 Her hobbies include play-wrestling with her feline sisters and pretending to dig for bones. She is a bundle of cuteness! House-training has gone well-she rings a bell to be let out, does her business, and bolts right back inside for more play! 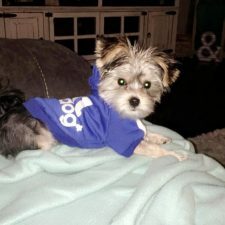 Yogi has brought so much joy into our lives and fills our home with love! Thanks for everything! You are the best breeder! I thought I would give you an update on Trinket. Simply put, she is the light of our lives. We love her so much. 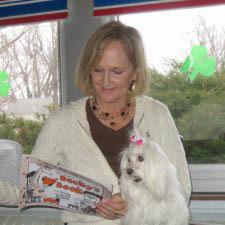 She is also the highlight of our granddaughter, Payton’s, who visits us. 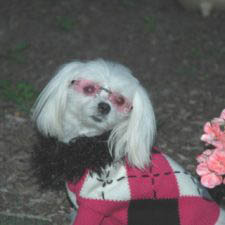 Trinket is FULL of energy and is so funny, we get our daily belly laughs from watching her. She is getting along with her older sisters, Carlee and Lacee better than I’d hoped. She was so easy to housebreak because she copied everything the older dogs did. 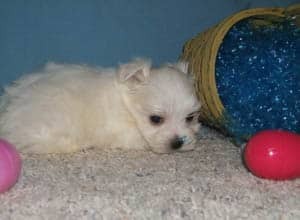 She is up to 3.4 pounds and her vet says she’s one of the healthiest Maltese he’s ever seen. 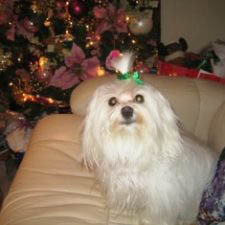 I’ve sent pictures of her and we hope to get a Christmas picture taken which I will send on to you if they turn out. Pebbles adopted us 3 years ago. She is the little smuggler I’d hoped for. 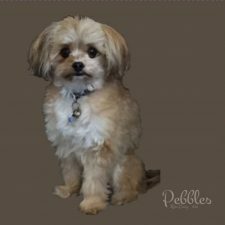 Pebbles is very smart and knows several tricks (sit – right & left (shakes R or L hand) – prayers- dancing girl- sit/turn/sit – down and roll over – jumping on hind legs to her mom – kisses – jumps over her moms legs- and goes “thru the middle” of a hoop) . We have one son (human) and also have our sweet little canine girl! 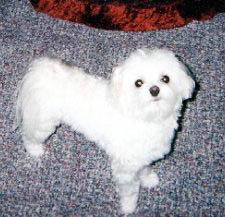 She is the love of my life – So very happy with our girl from Henry’s Maltese!! Thanks so much for giving Henry to us. We all love him so much. He is definitely part of the family and definitely rules the roost around here. He is a loving dog, but also very playful and full of piss and vinegar. A perfect combination for our crazy family. Thanks again! Thank you so much for the cute Birthday card you sent to the maltese you sold us last Easter. I?m the person you met in the McDonald?s parking lot in Grinnell last Easter. 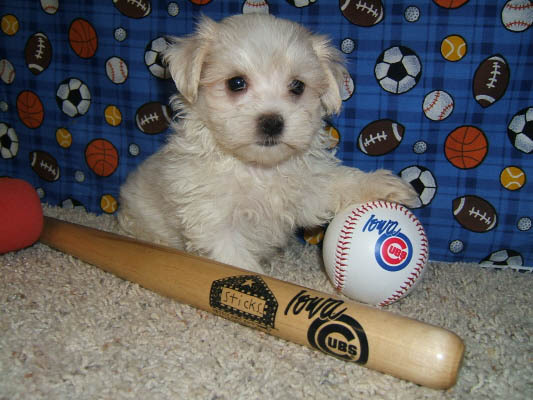 We love the puppy and named him Curly Cy – curly for his hair and cy (short) for cyclones. He is a riot and such a great addition to our family. We love him very much. Thanks for a great dog! We got our little guy, Tank last month, and moved him to NM with us. He is such a joy, and I am sooooo in love! He loves to play and snuggle. He sleeps with us every night, and has picked up potty training really well. Thanks so much, Patrick, for bringing this little delight into my life! Gracie made her 4 hour ride home to Sioux City with flying colors. She was timid at first, but is coming out of her shell…as she just stole my flip flop while I was sending this…she’s a joy. 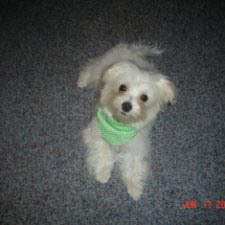 The puppy we got from you will be 9 months old this coming Monday and she is becoming a wonderful part of our family! She is housetrained and she fell asleep in my arms today. She loves everyone and loves to be the center of attention! We named her Daizy Mae. Belle will be 4 years old in May. She is such a wonderful little dog. She has been on lots of trips with me, but her favorite place to visit is my first grade classroom. She loves all my students each year and they all love her. I want to thank you again for my beautiful Belle. We just wanted to send you a picture of our puppy Champ! He is about 12 and a half weeks old and we absolutely love him! He is so sweet and he loves to give kisses. 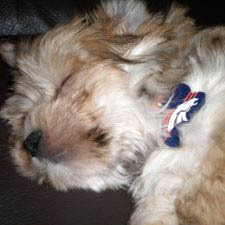 We are huge Broncos fans so we bought him a Broncos jersey and name tag. 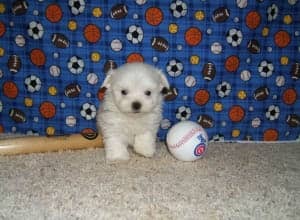 Not to mention we named him after one of the Broncos star corner backs Champ Bailey! Well thanks again for everything! Champ says Hi! We got Ava (5 months, 4 lbs) from you in May, and she has been wonderful. She was 10 weeks when we picked her up, and then immediately moved 25 hours to New Mexico. She has been so well behaved since the very first day. 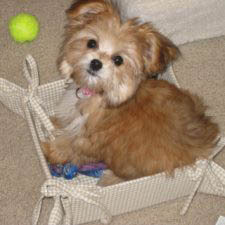 Ava was potty pad trained in less than 3 weeks, and is so smart. She loves people, and is very good with other dogs; her best friend is a large black lab! Thank you so much the great addition to our family. What a little princess!! I just wanted to send a few pictures of my precious girl Bella. She is so sweet and very well behaved. She loves having friends over to play (even if they are like 5 times her size) she still likes to beat up on the big dogs!!! She has such a great personality. Thanks again for such a sweet puppy. She is growing so fast and is now 8 months old!!! 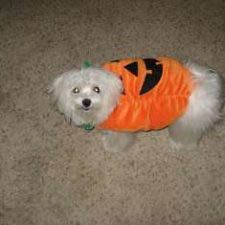 She is so excited about Halloween, and just loves being a pumpkin. 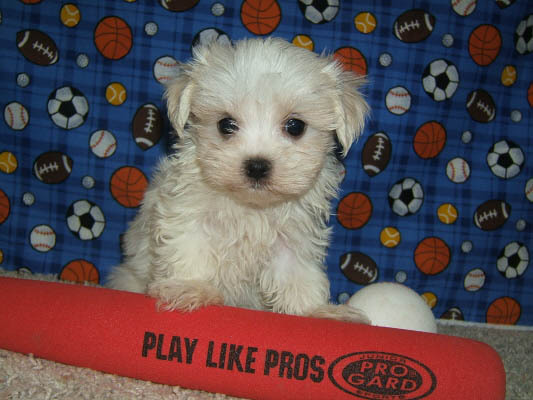 She also loves hanging out with her sisters and having a good game of tug-o-war…. but it sure makes her sleepy!!!! Hope you enjoy the update on my sweet girl! I will send more pictures at a later date. I know it has been awhile but we wanted to let you know how much we love Isabelle. 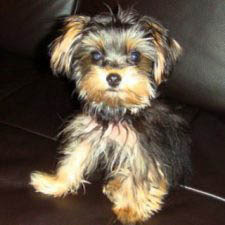 She is 6 months old now and weighs 4.5 pounds. The love and companionship she gives us exactly what we were hoping for. We just love her so much! Budi is doing great! We love him so much and he is very spoiled!! 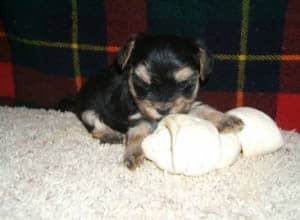 I’ve been meaning to drop you a note, or send along a picture of our baby pup. He is doing very well, trained to use wee-wee pads when not able to go out. He only cried the first night, and sleeps very well since. We did name him Logan. He has brought so much joy to our lives, we just love him. 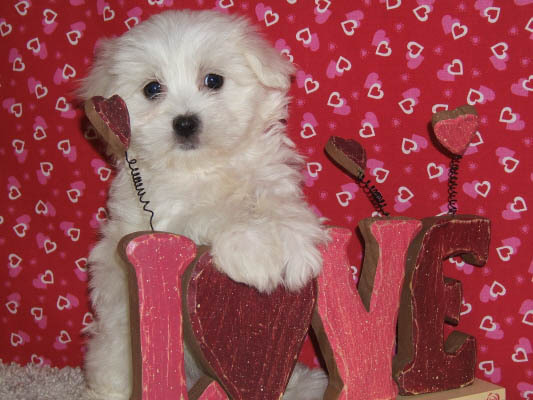 I have been giving your website out, as everyone we show him to falls in love with him. Thanks again, we couldn’t have chosen a better pup.